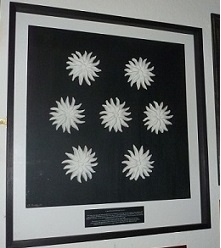 Like many “olde” pubs and ale houses, the Seven Stars sign has been changed during our 300 year history. 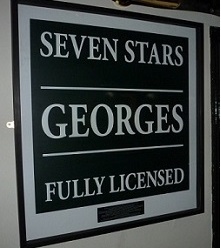 The collection of our old Seven Stars signs that we have traced show just how much. From a time where pub signs contained no wording (after all, few could read), then the name being added, then some colours and of course the arrival of brewery branding. From the Porter Brewery, then Georges, to Ushers of Trowbridge. Today we remain a true “Free House”. The origin of inn, tavern and pub signs goes back to the Romans. The ‘Tabernae’, or tavern, would hang small evergreen bushes outside to show that they sold wine. Long poles or ale stakes would be outside if the tavern sold ale. If both wine and ale were sold, then both bush and pole would be hung outside. By the 12th century. With pub names came pub signs depicting the name of the pub and to attract the attention of passing travellers.